Don’t Have The Key You Need? Add it! 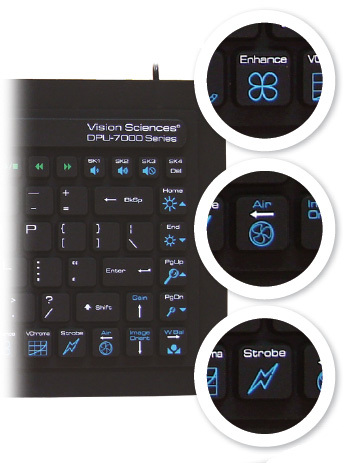 With an in-house engineering staff that rises to any challenge, Man & Machine specializes in customized development and manufacture of unique keyboards and other peripherals for medical, educational, and industrial applications. Anywhere from tweaking one of our current keyboard layouts to an entirely new design, we can make your concept a reality. From creating new custom peripherals, such as a magnetic stripe card reader, to modifying an existing product to satisfy specific requirements, we have the expertise and innovation to meet your needs. In addition, we offer private labeling, which lets you brand our models as your own. Whether you are looking for a sealed keyboard or a standard style keyboard with your custom interface, our team can make it happen. Already well known for customization in areas of endoscopy, radiology, and various industrial departments, you can rest assured your requests will result in the highest caliber of product attainable. One we stand behind with pride. What is Your Specific Need? Ask us a question through our Live Chat or contact us today to discuss your specific needs. 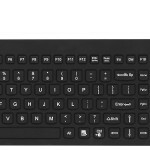 Need a custom keyboard for your business?